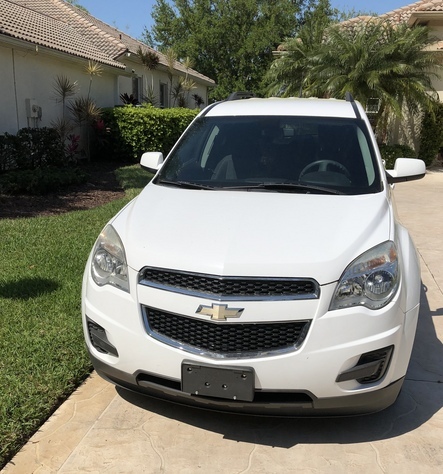 2010 Chevrolet Equinox SUV with 44,500 miles. Excellent condition. Engine: 2.4L 4-CYL. Automatic 6-speed transmission. A/C, anti-lock brake system (4-wheel disc). AM/FM CD stereo, XM Radio (to which you need to subscribe). Power mirrors and cruise Control.